FIGHT LIKE A GIRL RAFFLE! In conjunction with our Fight Like a Girl Crop tomorrow, Saturday October 8th, we will also be holding a funraising Raffle for some AWESOME prizes donated by local businesses and consultants! EVERYONE can participate! This isn't just for our croppers! EVERY raffle is worth over $25!!! Some prizes are worth a lot MORE!!! Raffle Tickets will be $1 each or 6 for $5. All proceeds donated to local cancer relief efforts! We are having a sale on Saturday ONLY!! Buy one get one half off on Albums! Buy one get one half off on Punches! That's right, buy any album or punch and you'll get 50% off a second album or punch. 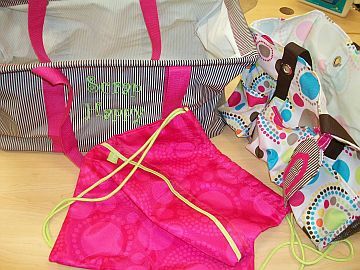 Spend $50 and get your name in the drawing for THREE 31 Bags donated by Penny Smith, a 31 Consultant. WOW!! The bags are worth over $80 themselves, one of them is that awesome big bag that can hold the big Cricut! 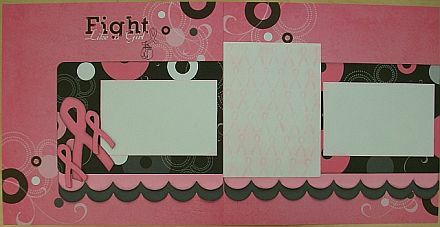 FIGHT LIKE A GIRL 2 Page Kit! Whether you are cropping at our crop or not, you can still buy this 2 page kit! Only $9.99! October Day of Creativity and MORE! That time is coming again! Day of Creativity is here! The first Saturday of the month is always Day of Creativity, and THIS Saturday is that day! 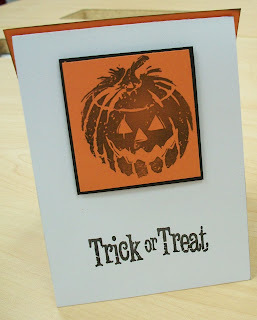 This month we have for you this adorable layout, "You're the pick of the patch!" 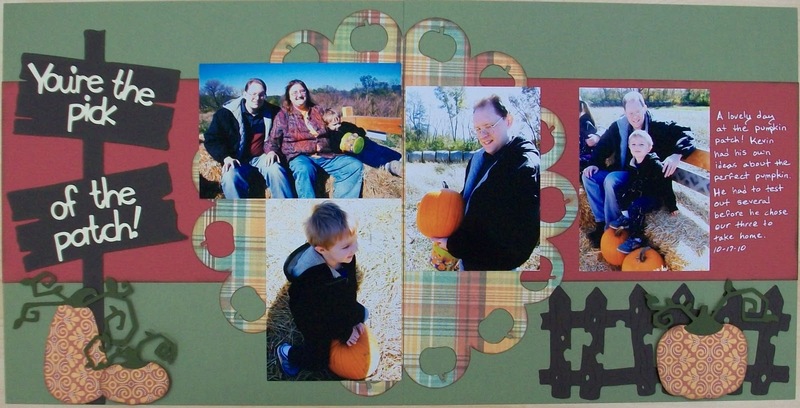 You could of course use this layout for pumpkin patch pictures, but you also can use it for general fall, garden harvesting, cutting pumpkins and similar photos! Not just for kid photos either! Last month we sold out of Day of Creativity layouts in 30 minutes of opening our doors! We made a few more kits this month but you definitely DO NOT want to wait if you want this layout! 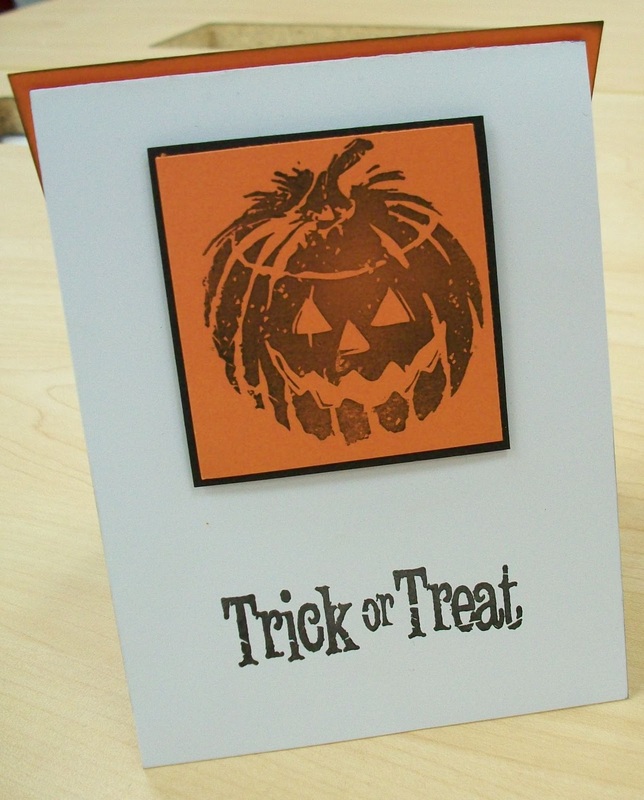 We also have this FREE adorable card for you to make! We will also have some super sale items out and new stuff in the clearance section. Be prepared to SHOP SHOP SHOP!!! Fight Like a Girl Crop Info and Contest! at the Center for Active Seniors (CASI)! AND raise money for breast cancer research! and doing 3 FABULOUS Make-n-Takes! We're only taking 100 croppers! 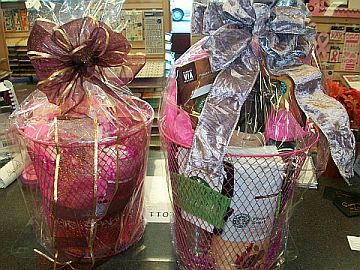 TONS OF FABULOUS PRIZES from LOCAL BUSINESSES!!! You WON'T BELIEVE how much we have to raffle!!! We will be selling raffle tickets for $1 each or 6 for $5. ALL MONEY COLLECTED WILL BE DONATED! That's not all ladies! We're having a layout contest! Fight Like a Girl Layout Contest! 1. Products used should be available for purchase at Scrapaganza. 3. All entries must be turned in no later than 1:00pm on Saturday, October 8th at the crop. 4. Please put your name on the back of your entry. 5. Entries will be displayed at the Fight Like a Girl Crop and scrappers will vote on their favorite. 6. To vote, scrappers will purchase tickets and drop them in a bucket for their favorite layout. All money collected will be donated. 7. Scrappers can vote as many times as they want and they can vote for more than one layout. 8. The layout with the most tickets is the winner. 9. In the event of a tie, Scrapaganza staff will vote for their favorite. Staff can only vote for one layout. 10. The winner will receive a fabulous prize from Scrapaganza! See you all at the crop!!! When area schools are closed we will still be open UNLESS Northpark Mall is closed and the public bus lines are closed! Check KWQC.com for the latest business closings. Go Check Out Our Kit Online Kit Club!